Home Other How Do I Know If I Have a Personal Injury Lawsuit? If you’ve been injured in a serious accident, then you may be thinking whether you have a personal injury claim to talk about in the first place. In fact, this may be a stressful question after all your medical needs have been addressed. You may even wonder if you can be entitled to get financial compensation for your injuries. While you have these questions in mind, one thing is for sure and that is you may file a lawsuit provided you can prove your claim in court. So, here’s how you can determine whether you have a personal injury lawsuit claim to file against the offending party. 5 Want to Seek Legal Help? Of course, you may not have a cause of action to bring a lawsuit in court if you didn’t sustain a personal injury in the first place. When talking about personal injury, it’s an injury that causes both physical and psychological effects to a person. For example, if you’ve suffered a broken arm and leg because of a car crash, then you must have experienced a personal injury. 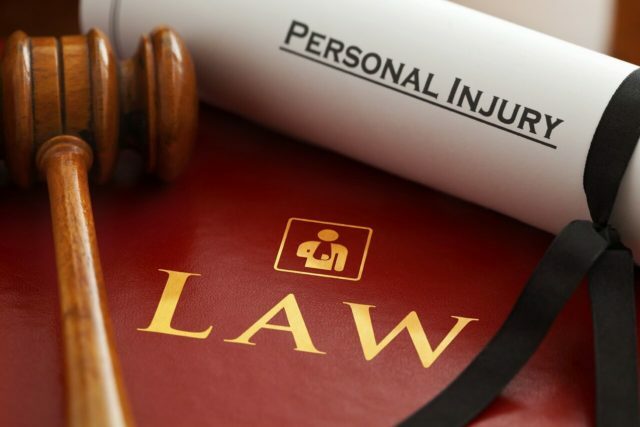 Remember that it’s important that you know how to distinguish personal injury from other types so you’ll not be deprived of your rights under the law. An example of which is your involvement in a minor fender bender that caused minimal damage to your vehicle. If you’ve suffered no injuries as a result of such an incident, then you can’t say that you incur a personal injury. The duty of care – The offending party has a legal duty of reasonable care to the offended party under the circumstances. For example, all doctors and other healthcare personnel have a duty of care to their patients. Breach – The person who has wronged you has breached that duty of care in a way that it fails to exercise a reasonable care in fulfilling the duty. Cause – To win a personal injury lawsuit claim, you also need to prove that the injury wouldn’t have happened without the breach of that duty of care. It means that the negligence has caused your injuries. If you’ve been injured as a result of someone else’s fault, you may have the legal right to recover damages once you file a personal injury lawsuit claim in court. Remember that damages are a sum of money given to the aggrieved party as a compensation for their injuries and other losses. In most cases, if you’ve experienced personal or financial harms, you may be entitled to both economic and non-economic damages depending on the extent of your injuries. Economic damages include medical bills, lost wages, and other healthcare costs. On the other hand, non-economic damages include diminished quality of life, loss of companionship, loss of earning capacity and even pain and suffering. While some recoverable damages are difficult to compute, it’s the best if you consult a qualified lawyer who can provide you with reasonable estimates for your compensation. Consultation with a lawyer – Speaking with the lawyer to ask for more information and the steps on how to proceed with the case. Filing of initial court papers – This is where you can learn the essentials of complaints, answers, and other legal papers. Fact-finding and discovery – This is the process where each party gets information from each other to establish the case. Motions – This is the stage where many cases are resolved by motions. Amicable settlements – Most lawsuits prefer settlements that push through with the trial. Trial – This is where jury selection, opening arguments, witness testimony and the jury’s verdict happen. Collection after judgment – If you win at the trial, a collection of money after judgment transpires afterward. Appeal – Even if you lose the case, it doesn’t mean you have no remedy under the law. This is where appeal takes place. Want to Seek Legal Help? If you think the information presented above is similar to your circumstances, then you may want to speak to a licensed personal injury lawyer like the ones at www.hersheyinjurylaw.com who can provide you with an in-depth knowledge of the laws as well as the legal system. Because of the legal and financial consequences, you may experience as a result of bringing a lawsuit in court, it’s always best to ask the assistance of a legal professional before considering doing so.